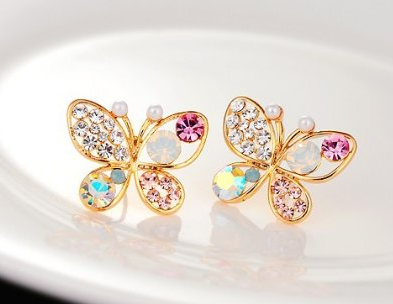 Beautiful Goldtone Butterfly Earrings Only $1.98 Shipped! You are here: Home / Great Deals / Amazon Deals / Beautiful Goldtone Butterfly Earrings Only $1.98 Shipped! These simple yet stand out earrings are perfect and elegant. They are great for the office, a casual outfit or even dressing up! Get your Beautiful Goldtone Butterfly Earrings for Only $1.98 Shipped!